FMS Bank & the East Colorado SBDC are proud to present the monthly E.P.I.C. Series (Entrepreneurs, Professionals, and Investors Community). Each month we bring in a topic to help you learn new business skills or further develop your existing skill set! Operating a successful business in the modern business environment has many advantages and challenges. When it comes to successful organizations, you can almost always bet they have a great team of employees contributing to their success! However, the market for talent these days is incredibly competitive. If you are looking to hire great talent and need strategies, this session is for you! We'll cover the recruitment and retention strategies that leaders can use to help develop a successful talent acquisition process for their organization! Join us for June's installment of the E.P.I.C. Series, presented by Amanda Ericson of HRx Services! Remember - there are two locations to join in this event! Amanda Ericson has worked in the Human Resources field for 17 years. She began her career in recruiting and talent acquisition and continued in her career holding many positions, including a Director of HR Compliance role where she supported 20 clients with their HR compliance strategies. She has worked in a variety of industries in both the private and public sectors. Amanda has presented at many workshops and conferences on different HR topics and has testified at the State Capitol and lobbied on HR issues at both the State and National level. She's been interviewed for podcasts and featured in HR Magazine regarding technology and talent acquisition practices. 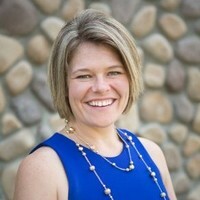 Additionally, Amanda gives her time to the Northern Colorado Human Resource Association and has served on the Board of Directors for nearly 10 years. She is also the Director Elect for the Colorado Society for Human Resource Management council.